The Friends of the Library Foundation is having a quilt drawing at Wellsville Days. 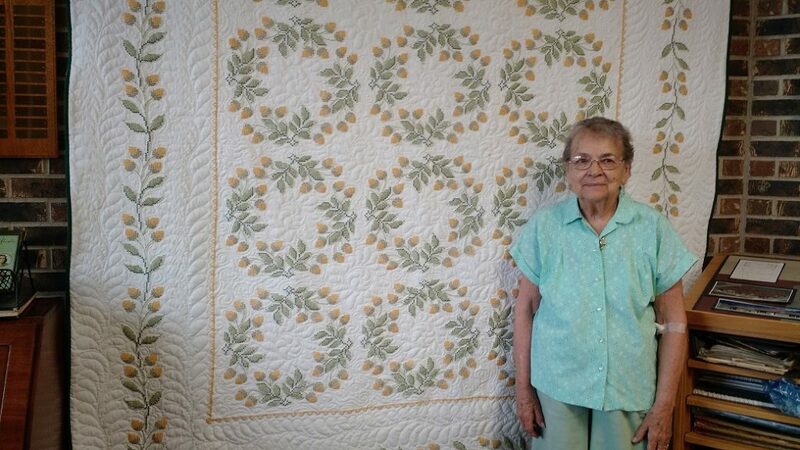 This year’s quilt top was hand embroidered by Mary Ann Shields, bound by Evelyn Brecheisen. The quilt is 80 x 92 inches. The drawing will take place during Wellsville Days, September 24, 2016. Winner will be announced following the Sweet 16 Contest. Tickets are $1.00 a piece or 6 for $5.00. Tickets are available at the Wellsville Library.